This is another really neat tool that drives home just how diverse or solar system is. 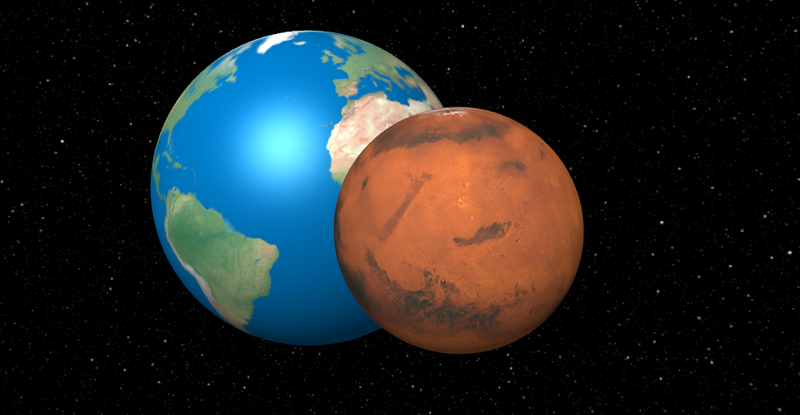 Take Earth and plant it next to Mars: I’m always surprised at how much smaller the Red Planet is, even as Venus is almost exactly the same size. Similarly, I didn’t quite realize how close in size Uranus and Neptune are. The only drawback to this site is that it’s missing most of the dwarf planets: I’d love to see Ceres and Makemake on here, and with all of the new imagery that we’ve gotten out of Pluto, it would be nice to see that updated. Here’s the link where you can compare.